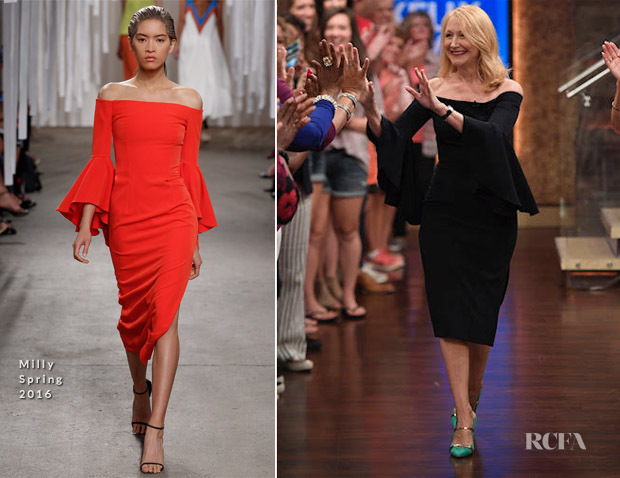 Patricia Clarkson continued to promote ‘Sharp Objects’ on ‘Live with Kelly and Ryan’ in New York City on Monday (July 30). Striking in its simplicity, her Milly Spring 2016 black off-the-shoulder dress has a pared-back quality that allows focus to fall on its romantic silhouette. I love how the flared sleeves add dramatic in a refined way. 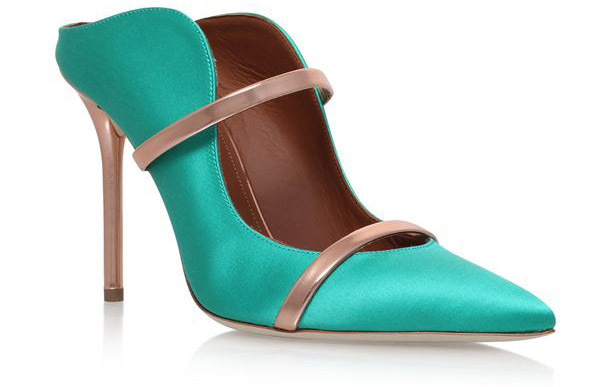 Patricia could have amped up the elegance of this timeless statement with silver ankle-strap sandals or black pumps, but her emerald and rose-gold Malone Souliers ‘Maureen’ pumps were a welcome twist.